To search attachments within InstantKB you must first ensure full text search is enabled on your InstantKB database. These changes will ensure InstantKB attempts to also search the contents of your attachments during any keyword search. The next step is to actually now include the Attachment database field within the full-text catalog we previously created. This is detailed in the next section. 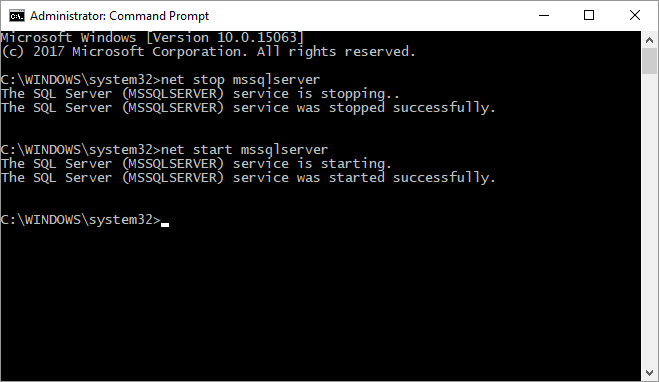 IMPORTANT: The full-text search is not supported on Microsoft SQL Server LocalDB and Express editions. 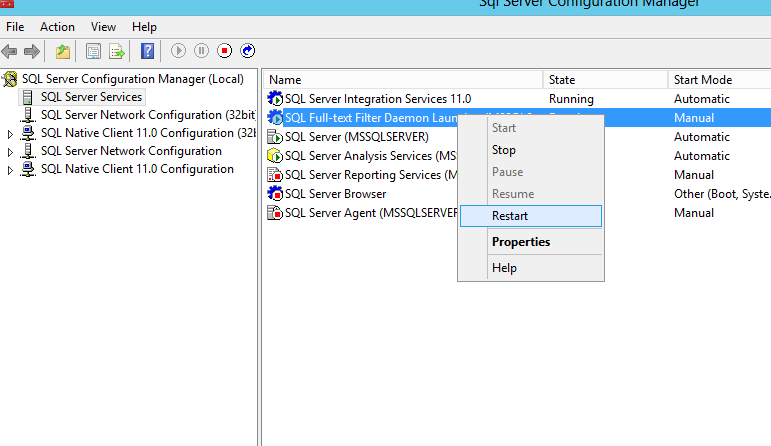 You will need at least Microsoft SQL Server Web edition or higher to use full-text search. If you enable searching of attachments within the "Admin CP » Settings » Knowledgebase" page you'll need to ensure attachments are saved to the database and that you create a new full text index on the "InstantKB_Attachments" table and index the "AttachmentBlob" column. 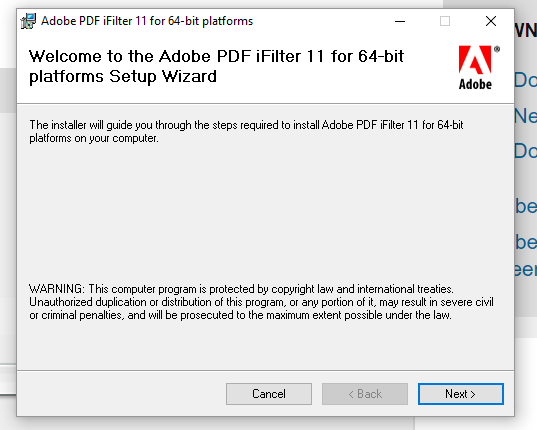 To assist with the installation of iFilters we'll walk through a quick example below of how to install the Adobe PDF iFilter to ensure the contents of PDF files are also searched within InstantKB. For a complete list of 3rd party IFilters please see the related links section below.You will first need to install the Adobe PDF iFilter on your SQL Server machine. 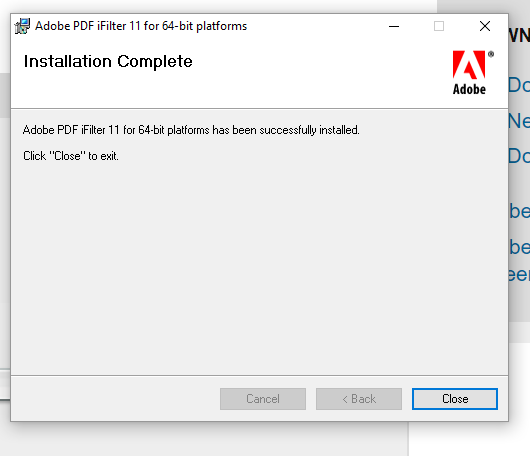 You can download the free Adobe PDF iFilter from the Adobe web site below..
Now use the following query within SQL Server Management Studio to determine if the installation was successful. This indicates the installation was successful. As your catalog updates you should see results returned for your new content type. If you have PDF files already attached to articles and stored in the database these will be indexed and the associated articles will appear within search results. If you would like to search Microsoft Office documents similar to the PDF iFilter from Adobe you'll need the latest the Office 2010 Filter Pack available from Microsoft on your SQL Server machine. We would also suggest you download and install both Service Pack 1 and Service Pack 2 for the Office 2010 Filter pack. At the time of writing this article (March 2017) this is still the latest filter pack available from Microsoft. You can search additional file types such as PDF files or CHM files through the use of 3rd party SQL Server iFilters. Installing an iFilter is straight-forward and no additional configuration is required within InstantKB once the iFilter has been installed. Providing the "InstantKB_Attachments.AttachmentBlob" column is included within your fulltext catalog as detailed above the content types covered by the iFilter will automatically be included within InstantKB search results as the catalog updates. We hope this information helps you improve your InstantKB search. If you have any comments or questions please don't hesitate to submit a support request.